Srila Prabhupada was very upset about the changes in his books. I never saw him get so angry any other time. Srila Prabhupada translated the spiritual law books for the next 10,000 years, day and night, until his dying day. He translated constantly despite his busy preaching schedule. He did this to live on in the books. He said before he left the planet that he had given us everything in his books. He said the books were the manifestations of his ecstasy. He said if we read his books and cooperated together, every thing would go on nicely. To edit his books without his sanction is risky business. We should try to be absorbed in the ecstasy of the spiritual master and not try to alter it, thinking we can ‘improve upon’ his ecstasy. Some of the reasons given to justify the modern day editing are that the new edition is closer to what Srila Prabhupada said on the original tapes. Srila Prabhupada lectured on many verses many times and never said to change them. He authorized about three changes, not the 800+- we have in the new Bhagavad Gita. We need Bhagavad Gita As It Was! There is a nicer vibration to the original Srila Prabhupada approved version. I’m sure more devotees would be inspired to distribute the original. It would be nice if we could at least have both versions available. To each his own! When a new book came out Srila Prabhupada would be in total bliss. I remember when he was so sick he could hardly sit up. When he heard that the new Srimad Bhagavatam had arrived and he asked to be propped up on his bed. He asked for his glasses and more light. As he marveled over the quality of the book and the excellent artwork tears came to his eyes. This gave him life. When Srila Prabhupada came into the room and caught me reading the Srimad Bhagavatam, he smiled nicer than ever and told his secretary, “He’s reading in his spare time; this is very good!” I was surprised to see how happy Srila Prabhupada was because I was reading. Srila Prabhupada put everything into his books and we would be better off to accept them as is/was. They made so many devotees in the past and will in the future. They are tried and true! Srila Prabhupada said the disease of the Americans is that we want to change everything. Let’s get rid of this disease and maintain what Srila Prabhupada has worked so hard to give us; without adulteration or change. Srila Prabhupada appointed Ramesvara Prabhu as the manager of his Bhaktivedanta Book Trust (BBT) so he was responsible for organizing the printing and distribution of Srila Prabhupada’s original books. Srila Prabhupada gave more direct personal instructions to Ramesvara on book production and distribution than any other devotee. Fortunately Ramesvara kept a detailed diary and used that diary in an interview for the Srila Prabhupada Lilamrta in 1981. 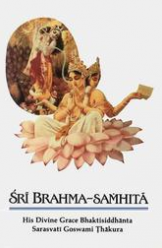 It is because of this diary and the Lilamrta interview that Ramesvara’s memories on Srila Prabhupada’s instructions regarding the publication of his books have been very accurately and authoritatively preserved over the years. Ramesvara Prabhu confirms that the devotees who were responsible for approving the printing of the “Revised and Enlarged” Bhagavad-gita As It Is were not aware of the extent of the changes and only the editor was aware of the full extent of the changes. 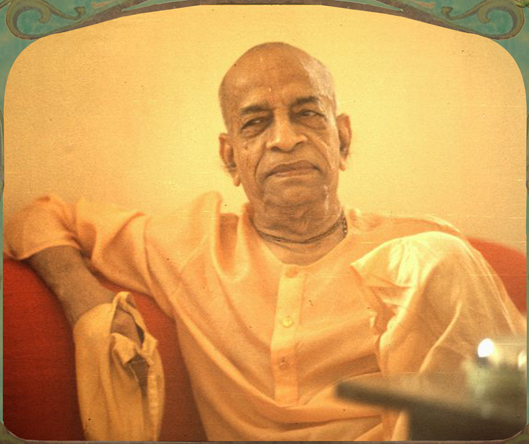 “I failed to consider all the other Prabhupada instructions, the ramifications for making changes if they didn’t ultimately change the meaning; the effect of changes that in some cases loses the flavor of the Gita we had been studying for 10 years, and most importantly, that breaks the etiquette of changing a Sampradaya Acaraya’s books after His disappearance and opens the “change door” for possible future other changes over the decades and centuries to come. The RP paper implies that the changes were carefully reviewed and approved throughout the leadership of the BBT, GBC and ISKCON.